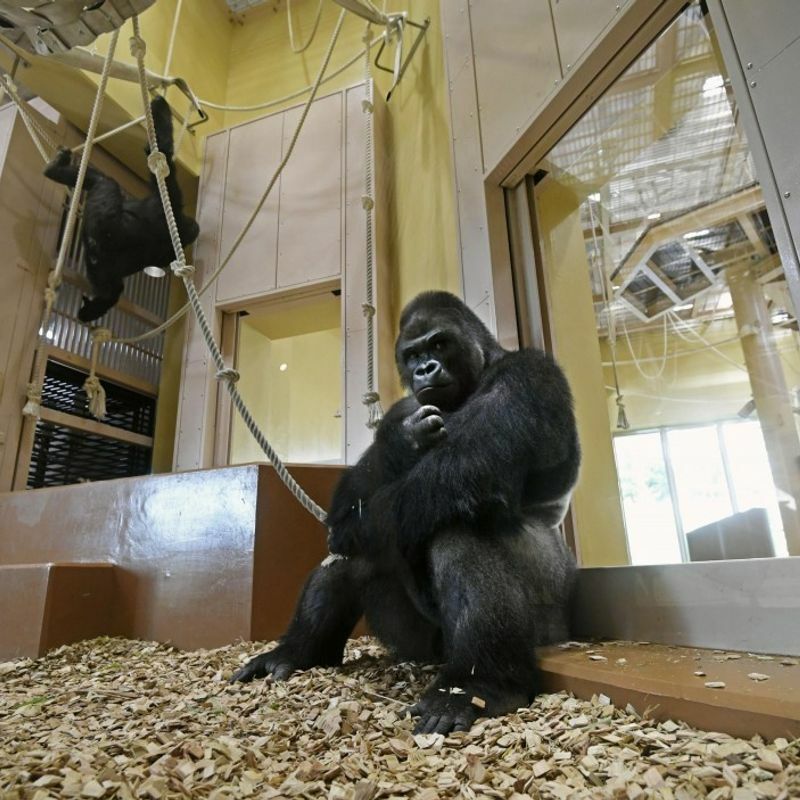 NAGOYA - A new facility for gorillas and chimpanzees opened to the public on Thursday at the Higashiyama Zoo and Botanical Gardens in Nagoya, where visitors can catch a glimpse of the zoo's celebrity "handsome gorilla" and other primates. 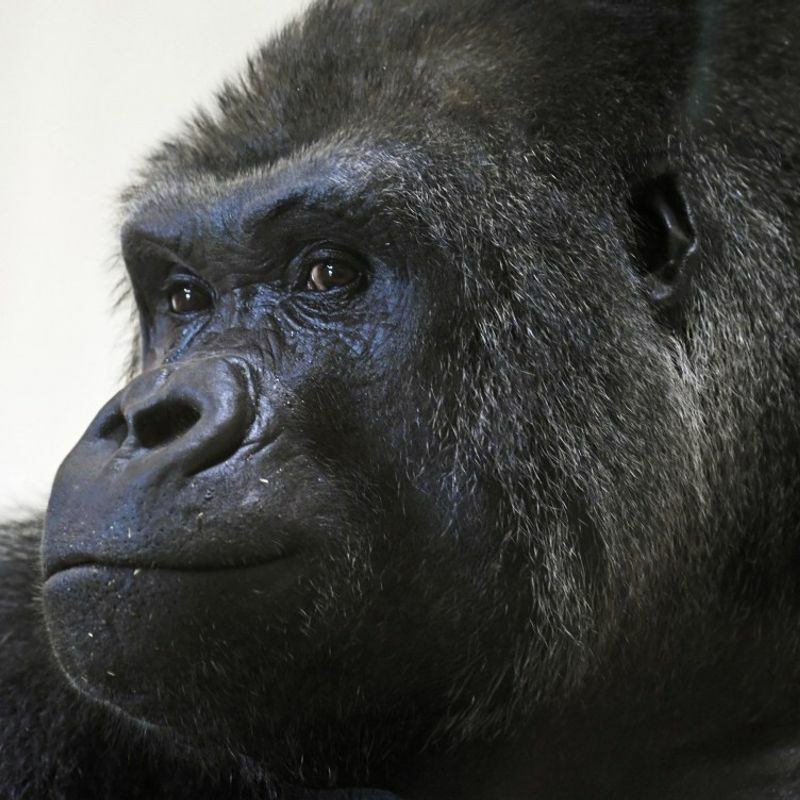 Shabani, a Western lowland gorilla famed for his good looks, and his four family members moved into their new home in the zoo's African Forest Area in June, with a family of nine chimpanzees as their new neighbors. The new facility includes more spacious outdoor areas as well as indoor exhibition space than before, according to the zoo. As the primates like to spend time in trees, both outdoor areas feature towers of 8 meters to 15 meters in height, and ropes dangle from the ceiling in the indoor areas. 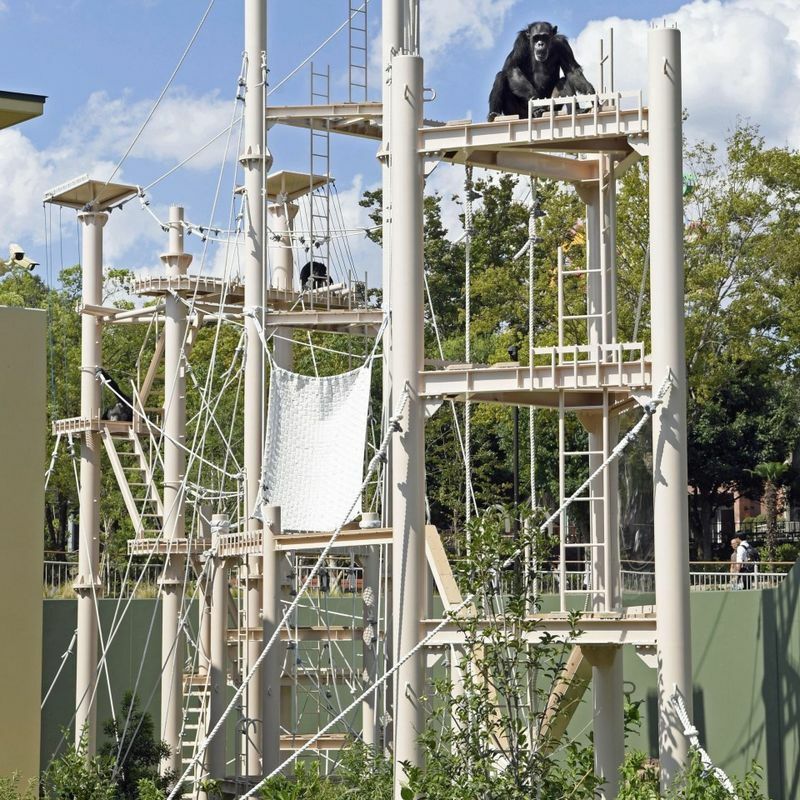 During a media preview on Wednesday, the gorillas and chimpanzees were seen actively moving around on the ropes, and climbing up and down the towers. Two young gorillas, both Shabani's offspring, ran around the spacious exhibition area playfully. Koichi Chaya, the zoo's deputy chief, was relieved to see the primates enjoying themselves despite the presence of reporters. "This is the first time they have had so many visitors since moving into their new home," Chaya said. "I am pretty sure they will be their usual selves during public viewing as well." Dubbed an "ikemen," meaning handsome guy in colloquial Japanese, Shabani the gorilla became a sensation in Japan after pictures of him went viral on Twitter.